THE DEADLIEST WATERS IN THE WORLD. More rocks, shoals and uncharted reefs than can be counted. Thousands of wrecks litter the bottom, their bones bleached white on the reefs. And, if reefs, shoals and massive typhoons aren’t enough, pirates lurk to take the unwary. They lie directly across some of the most congested shipping lanes in the world and in the heart of a cauldron where politics, religion, drugs, and greed boils over. 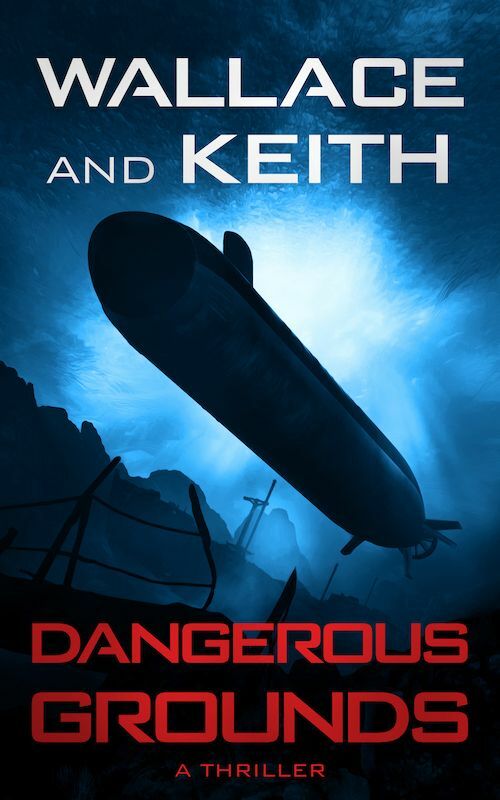 A young Naval Academy midshipman, a few SEALs, and the crew of a stolen submarine are the only people in a position to stop terrorists bent on bringing down a nuclear Armageddon, unleashing a holy war on mankind. Ripped directly from today’s headlines, it all starts in a part of the world that has for centuries been designated on navigational charts as The Dangerous Grounds. This is a cross between Clancy and Griffin with plenty of action and suspense! Another great book with twists, turns and surprises around every corner! If you enjoy cat and mouse thrillers, this is a must read! A book full of suspense!